Due to slow internet speed, we are frustrated, we think how to boost or increase internet speed upto 20% without software on your computer. If you have any broadband internet connection from the Bsnl, Airtel, Reliance, Sify or any others and when you are working on the internet, it is very important that you get properly speed of internet for downloading or uploading files. If you have a slow connection speed, or your internet connection is not working properly, then you will be irritated with the internet speed and your work in not properly done at the time. Lot of persons are using this kind of problem So, I this article I try to provide the few steps to overcome this problem and increase your internet speed up to 20% without using any software on your computer. When you are surfing on the internet on your PC, you watch a message flash on your screen that latest windows updates are available due to the reason of 20% of your available bandwidth is reserved by Microsoft. If you cancel this process your internet connection will work faster by 20%. Step 1. Click on the Start button from the mouse or you can also press WIN+R shortcut key to directly open then Run box and type following command “gpedit.msc” without quotes.Note: Case sensitiveness does not matter during typing this command in the run box. 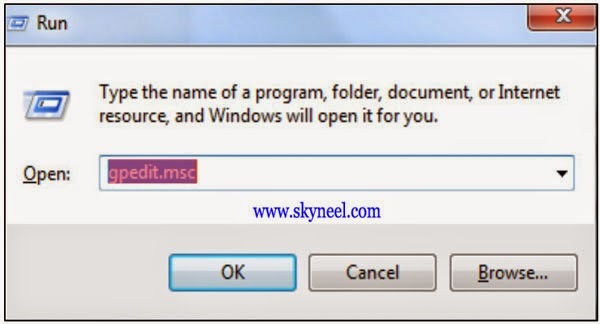 When you press enter key your computer shows “Local Group Policy Editor” dialog box. Step 2. And you will see Local Computer Policy tab>>> Now click on the Computer Configuration option >>> After then click on the Administrative Templates >>> Then click on the Network >>> Now you will see “QoS Packet Scheduler”, Click on the QoS Packet Scheduler option. After then you will find a file “Limit Reservable Bandwidth” it is second last file and double click to open the “Limit Reservable Bandwidth” file. Step 3. It will set by default on “not configured” but you will find the truth is under the ‘Explain’ tab. So select ‘Enable’ and set reservable bandwidth 20% to 0 (zero). Step 4. After then click on ‘Apply’ button >>> then click on OK >>> Now close all tabs, your internet speed will increase 20%. Step 5: Restart your computer again and check your internet speed, now your internet speed will boost up by 20%. Is the message while trying to increase speed. Yes… by default it will be 20% if you want to increase your internet speed just set it on 0% then press Apply button now hit OK button.